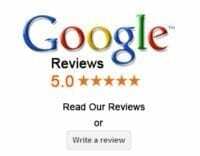 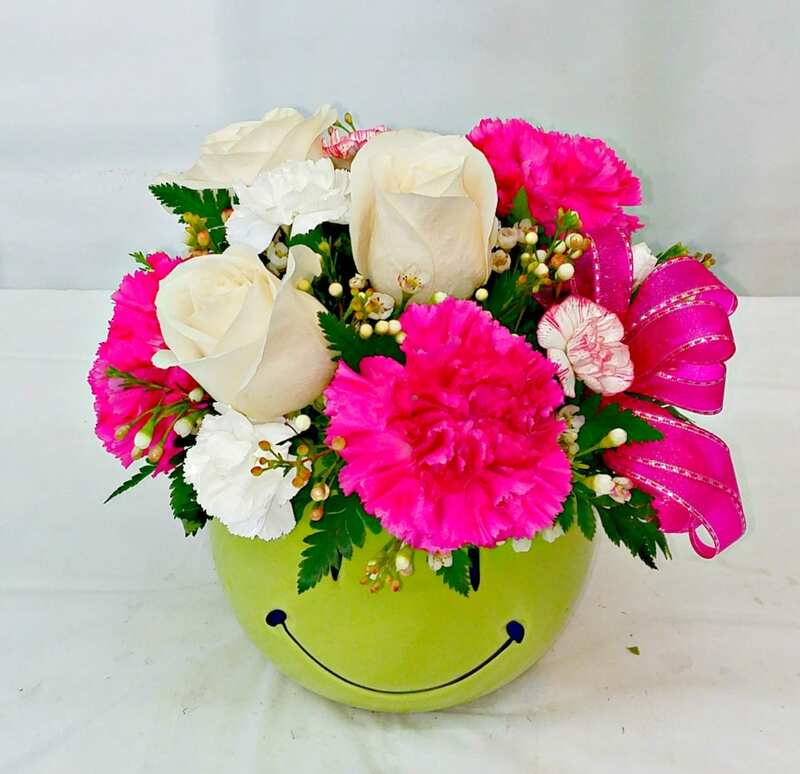 Send our Hot Pink Smile arranged in our Green Smiley vase with three white roses and hot pink Carnations. 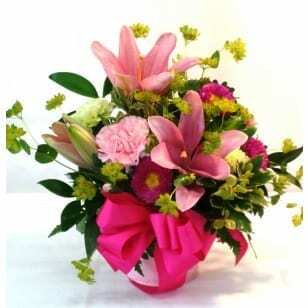 Accent flowers and a bright hot pink bow complete this arrangement. 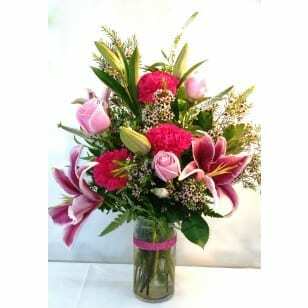 Upgrade for additional Roses.